PORT-AU-PRINCE, Haiti (AP) — Authorities in Haiti said Tuesday that five U.S. citizens are among eight men who have been detained with automatic weapons and other arms, and they are investigating whether anyone authorized their entry into the country. Prosecutor Paul Eronce Villard said the seven foreigners and one Haitian were arrested on Sunday in the capital of Port-au-Prince while traveling with the weapons in cars without license plates. Villard declined further comment, but said they are scheduled to appear in court soon. Police spokesman Michel-Ange Louis-Jeune told The Associated Press that the men told police they were on a “mission,” but refused to say anything else except that they would call their unidentified bosses. He said the men were in two cars and that when they were being detained, a third car showed up with an unidentified man who pressured police to release them. Louis-Jeune said he had no further information. A U.S. State Department spokesperson confirmed that U.S. citizens had been arrested and that the government was seeking consular access as soon as possible. “Due to privacy considerations, we are unable to comment further,” the spokesperson stated, referring all questions to Haiti’s police. 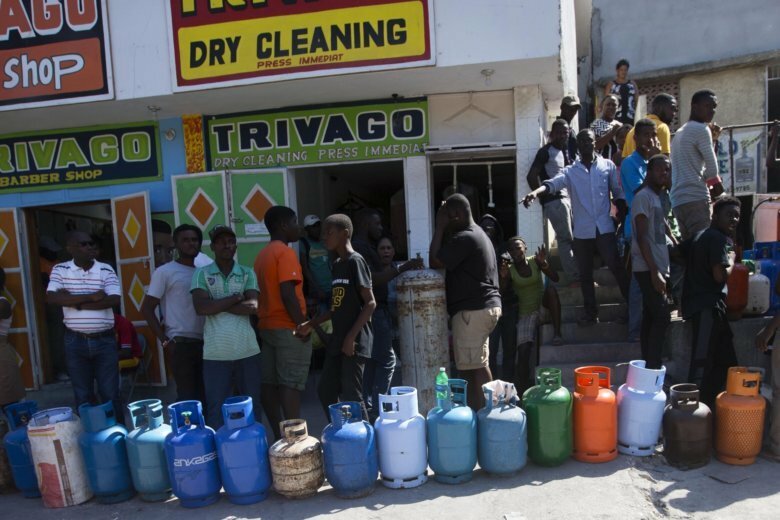 The arrests follow more than a week of violent demonstrations by Haitians demanding that president Jovenel Moise resign amid rising inflation and allegations of corruption. There were no protests on Tuesday, and schools, businesses and government offices have slowly been reopening.